WP announces its new office bearers who pose for a photo on the stairway. I call it the stairway to Communism. We have certainly been treated to a lot of drama over the WP leadership elections recently. The big news was that Low was challenged for the leadership role by Chen Show Mao or he wasn’t really challenged it was all wayang, depending on who you read and how much you subscribe to conspiracy theory. All of the reports more or less trumpeted the inner workings of WP as democracy and the vote for the SG position as a contest in one form or another. All of the reports that I saw contained factual errors , all avoided the elephant in the room and all misled their readers into believing that WP is some kind of meritocracy. The story being spun on the magical web was that Low had been put to an actual test of some kind and that CSM was an actual contender. For those who may not be familiar with what happened ( and what cave are you living in? ), there was a leadership challenge by Chen Show Mao for the position of Secretary-General. It failed and Low Thia Kiang won the vote 61-45, with some discussion about the sudden adoption of 28 new cadre members in the last month who all happened to vote for Low. 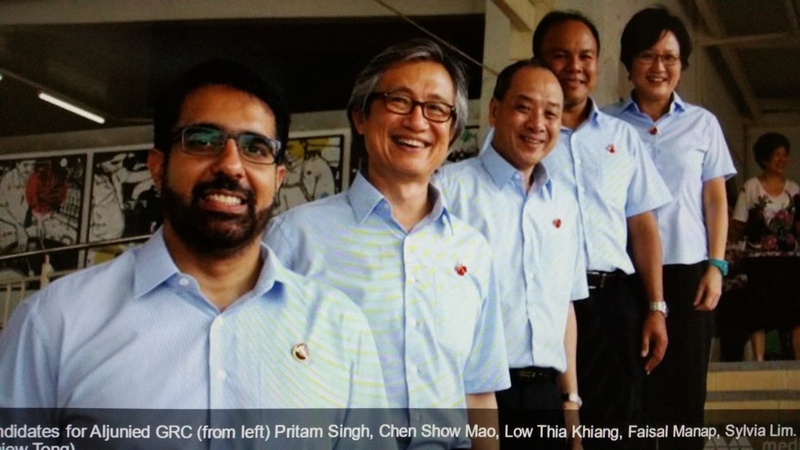 The two [Chen Show Mao and Low Thia Kiang] are colleagues in Aljunied GRC and were all smiles after the elections, and emphasised mutual respect and that the election was part of the democratic process of letting the party cadres decide how the party should move and who should lead it. Both denied that there was any rift between them. If both candidates can keep their relationship friendly in spite of the election challenge, then it will be a good sign that WP is effectively representing the will of its members, and not falling into groupthink or undemocratic control. Sorry Bertha. It’s not personal but I can’t let you get away with the phrases “letting the party cadres decide” AND “part of the democratic process” In the scientific language of political analysis we call this “Having your cake and eating it.” More than that, it is the kind of Communist doublethink or Orwellian Newspeak that equates dictatorship with democracy or freedom with slavery. How the pigs in animal farm went from four legs to two or to everyone is equal but some more than others. In case I’m not making myself clear cadres and democratic process are mutually exclusive. If you have Cadres you don’t have democracy. In fact you have a Communist process not a democratic process. Yes, they have elections in Hong Kong too and those citizens aren’t so lazy and stupid to be fooled into mistaking that for democracy. Let’s correct the paragraph to edit out the factual errors. Whether or not both candidates keep their relationship friendly in spite of the election challenge or hate each others’ guts it won’t make any difference. A good relationship is merely a good sign that WP is effectively promoting groupthink and undemocratic control. That’s better and we are getting at the truth. However there was another phrase in that paragraph which I find particularly offensive which I have underlined above in particular that part which says “then it will be a good sign that WP is effectively representing the will of its members”. Firstly this is hijacking a phrase I popularised as “the will of the people” which I used back in 2010 at a NUS Alumni forum. PAP MP Chris DeSouza had spoken of the dangers of a freak result if an Opposition Government was voted in for GE 2011. I immediately responded by saying that if it was “the will of the people” it could hardly be called a freak result and I got a standing ovation from the audience. It’s not just me who fnds it offensive. I know that my late father, JBJ, would roll in his grave if he heard the word “democracy” and “cadre system” used together or the claim that the cadres represent the will of the members. The cadres are after all appointed by the leadership of the party and they in turn elect the leadership. This is a closed circle system that the late Toh Chin Chye, who was outmanoeuvred by LKY, described as “the Pope selects the Cardinals and the Cardinals select the Pope”. Back in 2011 I wrote an article on the cadre system explaining its origin in pre-revolutionary Russia and its adoption by the Kuomintang in China and the Communists in the Soviet Union. That is why I can call it with some confidence a Communist process. People frequently say that Low ousted JBJ from the WP in 2001 by underhanded manipulation of the cadre system. This is not quite true. My father stepped down from the SG position in WP before the meeting which he refused to attend. This was because by then Low controlled a majority of the cadres and the CEC and refused to allow the party to help raise funds to pay the damages arising from multiple defamation suits. Low’s sabotage and backstabbing went further than that even. He struck a side deal with the plaintiffs that they would let him and others in position of responsibility for WP’s newsletter off the hook and go solely after JBJ for the damages. And so Low hunckered down in his little MP ship colecting his salary and allowing the man who had brought the Party to where it was with his historic win go to the dogs. Like Stalin in the 1920s who became General Secretary of the Communist Party and thus leader through his mastery of bureaucracy rather than his popularity with the people, Low showed an ability even then to manipulate the WP Constitution to his benefit by ensuring that only members loyal to him were appointed cadres. This was exactly the same tactic he used on Chen Shao Mao. It is quite difficult to believe that Chen would not have known that history. My father was unable to prevent this from occurring over a space of several years because of his misplaced trust in Low and remarkably persistent belief that people act in a gentlemanly manner. He stepped down knowing he would be unable to stop the undemocratic process underway as he discoverd the extent of the cadres loyal to Low that he had brought in. Even so Low’s election was denounced by several WP cadre members, one of whom allegedly went on to have an infamous career as the eminence Gris of the PAP internet brigade, who accused him of holding an unconstitutional meeting without proper notice and lacking a quorum. Complaints were even made to Registry of Societies (ROS) that Low had breached the Constitution but ROS declined to give a ruling, saying that it was an internal party matter. My father also declined to complain as there was little point by then as the democratic process had been thoroughly perverted as he had in any case been bankrupted by his PAP opponents and was unable to stand. All of the reports about the recent leadership contest conspire to skate over Low’s ousting of JBJ. Many of them simply state that he has been SG since 2001. TMG fails to mention cadres at all merely stating blandly that “This is the first time Low has had to defend the post he filled in 2001”. In this battle (if it was indeed a real contest and not a sham to make the WP look democratic) Low again demonstrated his mastery of the cadre system to ensure that he had the support of a majority by inducting 28 new cadres. In doing so he demonstrated very clearly how the cadre system can be used to entrench the leadership and prevent new blood or ideas from emerging. It is no accident that all Singapore’s parties except the Reform Party (of which more later) use the cadre system and that most of them have had the same leadership for decades. There are the Chiams at SPP, the Chees at SDP, Sebastian Teo (who has a serious conviction for corruption) and Tan Chee Kien (found guilty of price-fixing) at NSP. All the new parties have chosen to adopt the cadre system. If you talk to Tan Jee Say or Goh Meng Seng the argument always given for the cadre system is that it ensures “stability” and prevents infiltration by moles. I would prefer to call it stagnation. The “stability ” argument is just the old argument that too much democracy leads to instability and gridlock, even to a breakdown of law and order and ultimately civil war. Singaporeans are indoctrinated with this kind of idiocy from an early age such that a majority of them accept unquestioningly the loss of their rights and authoritarian rule. TJS, a rather nice man actually, has gone one step further to ensure his place at the top. He simply makes sure that no new Cadres have been allowed on board since he formed the Party thus ensuring that he needs to retain the loyalty of the original cadres. In fact the cadre system is more likely to lead to extremism and disaster because despite what TMG says it enforces groupthink and prevents any challenge to an individual’s or a group’s disastrous policies or madcap ideas. One has only to look at the enormous numbers (up to 50 million by some estimates) killed in China as a direct result of the disastrous policies of Mao during the Great Leap Forward and the Cultural Revolution. The most stable countries are those which are more democratic and where governments are frequently changed. In the US Presidential candidates have to endure a year of campaigning to be selected by the ordinary Party members in each state in the Primaries. This constitutes undoubtedly the most thorough and testing way of ensuring you get the right candidate for the job of CEO. The best cure against the takeover of a political party by extremists is to have an open and democratic structure like the Reform Party or AWARE. In March 2009 a group of religious extremists took over the women’s organisation at the AGM but were subsequently voted out by an influx of new members, alarmed at the prospect of AWARE’s aims being subverted by an ultra religious group, at an EGM in May 2009 called by the ousted leadership. If the Opposition is to make any progress in eroding the PAP’s dominance then it has to remove the barrier of the cadre system which entrenches the existing leadership in perpetuity. In the recent WP leadership battle the word was that Chen Shao Mao wanted to change Low’s timid policy of not challenging the PAP beyond a very limited extent. In particular Chen wanted to field candidates in a much larger number of constituencies. To most political observers the WP practice of fielding candidates in less than 30% of the seats does not make sense as you are saying to the electorate that not only are you not good enough to form an alternative government but that even if you won all your seats you would not be able to stop the PAP from changing the Constitution at will. The WP are saying that they just want to be Town Council managers and collect their salaries while having no real impact at the national level. Whether this spin on the leadership contest is true or not, it is clear that there will be no changes to the current accommodative policy as long as the cadre system endures. Which brings us back to why JBJ set up the Reform Party in the first place. With his first hand experience of the cadre system in WP and how Low corrupted it to his own ends, he wanted to bequeath to the nation a fully democratic party. Unfortunately any kind of democratic ideal in Singapore looks further away than ever. Yes, I agreed that all opposition party MUST be prepared to form an alternative government to prevent the PAP from ruling Singapore with their arrogance and not caring for the man on the street. In order to form an alternate government, candidates of the other party SHOULD and MUST be of good calibre and sound human relationshipp skills and most importantly, have a good understanding of all singaporeans. If you are born with a Silver or Golden spoon in your mouth, what do you understands the hardships of those on the lower income group ? Keen on forming the next government ? Start recruiting more capable candidates ! Need advice, just let me know. Whilst you have a valid point in stating that a cadre system of appointees is inimical to a democratic system, suerely it is a stretch to say that is a stairway to communism. Much depends on how the cadres are appointed. 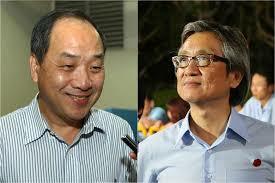 The quote from Toh Chin Chye is a distortion of the Pope selection process. The Pope, being appointed for life, does not need to be re-elected. 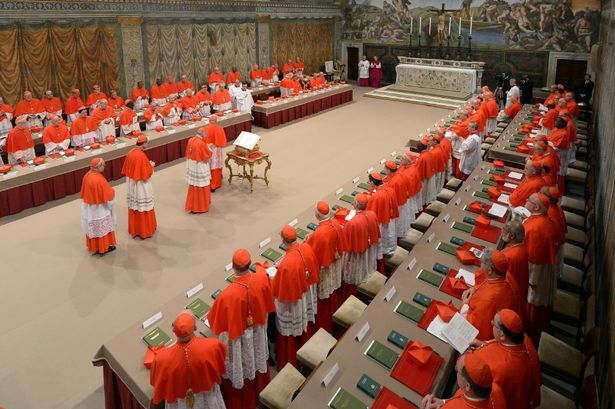 Cardinals appointed by him will elect his successor. LKY had made sure that only cadres loyal to him are appointed to ensure his permanent control. Thank you for pointing that out about selection of Popes. No doubt it was an over simplification but at the same time now that a living Pope has resigned, the election for life criteria is no longer absolute. Stairway to Communism? Well of course that’s a title and the photo just begged for it. It surely displays my age and the musical influences of my youth. However I do stand by it. In previous blogs I have gone into detail about the origins of this system in Communist Russia and China. I don’t believe that this “cardinal/ pope” system is inimical to democracy. That is to say the system isn’t damaging or harmful to democracy it simply can’t exist in a democracy. To be clear, the establishment of a Cadre system precludes democracy. You don’t have a democracy if that is the leadership selection process. If you are a democracy you can’t have Cadres and vice-versa. Cadres are not a degree of democracy or an obstacle to democracy they are a feature of Communist or Totalitarian rule used in Communist states to entrench the leadership there. To find previous multiple blogs just key Cadres into the search box in the landing page. Pingback: Men in Blue – No. More like Mice in Blue – LIFE begins @ 58! I have mentioned this previously elsewhere; any Opposition Party which says it is not ready to form a government has no business in politics. Low has been in Parliament for 25 years now; everyone can see all he cares is the MP’s allowance; occasionally rising up in Parliament to raise a point does nothing for Singapore’s democracy. Both the MIW and MIR are mocking all Singaporeans – the M stands for Mice, yes Mice In White and Red. Why don’t we just have a monarchy; LSL becomes the King of Singapore, Ho Ching the Queen, their children the Crown Princes and Princesses and the dynasty can continue for forever. Why this charade of Parliamentary elections and evoking memories of the Old Fogey ?